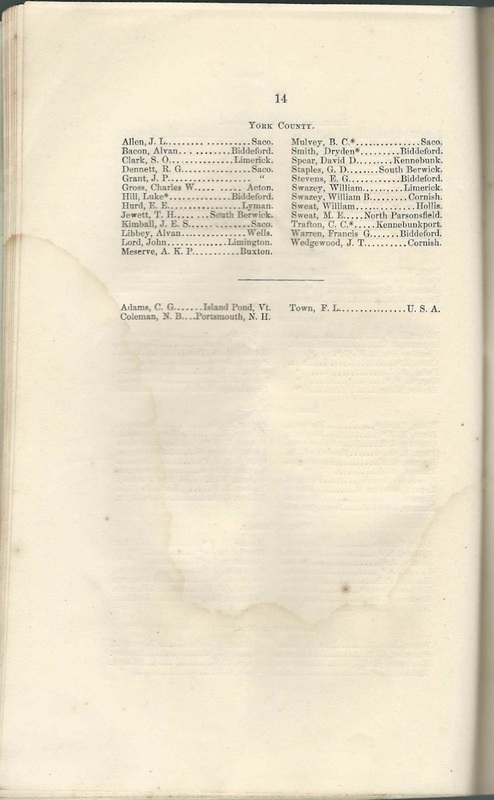 Included in the 1873 booklet entitled Constitution, By-Laws and Code of Medical Ethics of the Maine Medical Association is a list of the members, including deceased members, by their counties of residence, as those counties exist today. 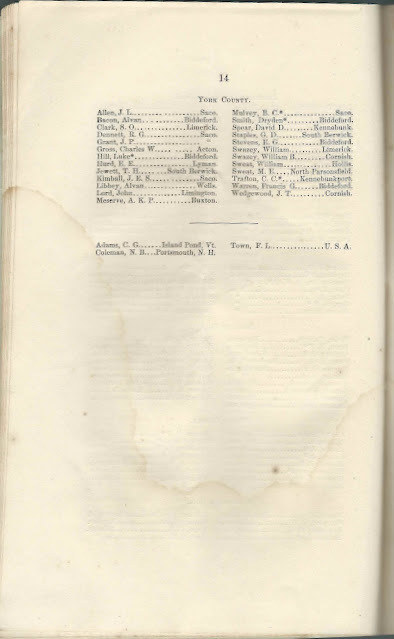 You can see images of all of the pages of the booklet in another post, as well as a list of all of the members in alphabetical order by their surnames. 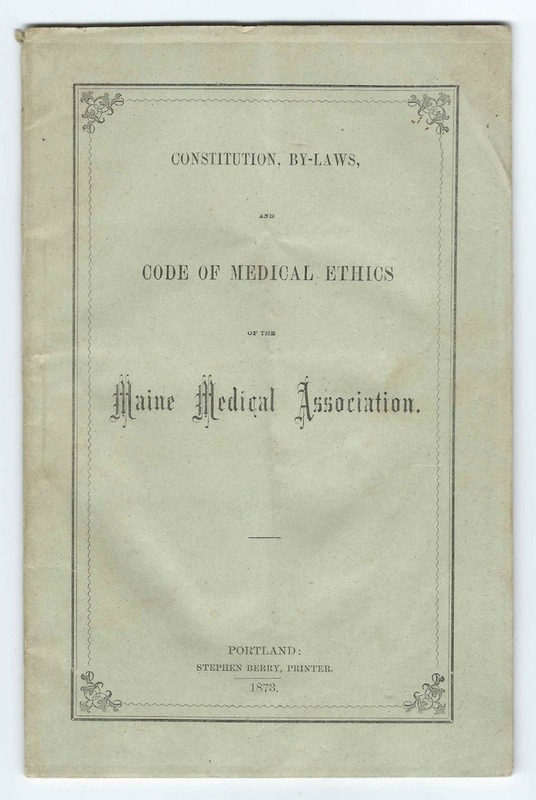 This post identifies the physicians from York County, Maine, up to 1873, including deceased members.